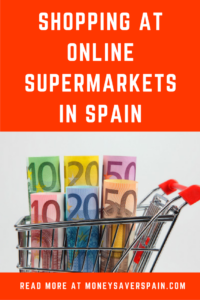 Online supermarkets are gaining market share in Spain, so we decided to check out the biggest sites to see what they can offer. Although you’ll need some Spanish, the websites are all quite easy to use. Of course you can always shop online with your usual supermarket, but if companies without physical stores are investing heavily in online-only supermarkets, we reckon they must be offering something more than convenience in order to attract customers. With thousands of products available, Amazon is aiming to seriously disrupt the online supermarkets sector in Spain. At the Amazon Spain supermarket you won’t find for the moment any refrigerated or frozen items nor those with a short shelf-life. Shipping costs are free for Amazon Premium (Prime) members which only costs 19.95€ per year with the first 30 days free, so it’s probably worthwhile signing up as normal delivery is between 6€ to 10€ with a minimum 19€ spend. Prices at Amazon are very competitive compared with other supermarkets in Spain (Mercadona or Carrefour), however you need to take into account that you can only find branded items, so if you like Mercadona’s Hacendado products then Amazon probably won’t work out cheaper. Tu Despensa has grown rapidly with over 100,000 customers in Spain. There’s a wide variety of fresh produce (meats, fish, fruit & veg) as well as the items you’d expect to find at an online supermarket. Tu Despensa allows you to store your shopping list to save time on your next visit and also comes with an International Foods section. Ulabox has a clear, easy-to-use website and offers over 10,000 top brand products. The threshold for free delivery is 59€ and delivery is available in a two-hour time slot in most towns from 7 am till 11 pm. You’ll need to order online before 1 pm to get your delivery the next working day, otherwise it will be delivered the following day. They currently don’t delivery to the Canary Islands but hope to do so in the near future. Note: Currently refrigerated products are only delivered to the Barcelona area. Both of these websites offer a “mums who shop” service (their words not mine!). 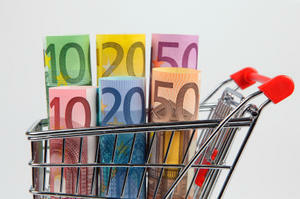 Deliberry shoppers buy from Mercadona, Caprabo and Dia and Delsuper shoppers also use El Corte Ingles supermarket. The idea behind both websites is that their shoppers are experts in fresh produce such as meat or fish. Both Deliberry and Delsuper are currently only available in Madrid and Barcelona, with plans to expand across Spain. You can get free delivery on your first order and then delivery costs vary depending on your purchase. 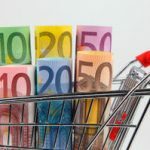 Carritus difers to the websites above as it compares prices at supermarkets based on your postcode: Alcampo, Caprabo, Carrefour, Condis, Eroski, El Corte Inglés, Hipercor, Mercadona and Dia. Even though this is a good tool, there’s a problem if you split your order as, depending on the amount spent, you may have to pay delivery on each. In this case you’d need to calculate whether it’s cheaper to buy everything from the same store. Buying online is great for families who have a large consumption of items such as milk, soft drinks, detergent, etc. Using these websites can save on petrol, time, patience and aching arms as someone will deliver your order to your front door! Single people or smaller households may find it harder to save, often they won’t meet the threshold for free delivery unless they buy in bulk. If you tend to buy lots of fresh meat, fish, fruit & veg you have to rely on the company to choose the products for you, which might not suit everyone. Registering on most sites (without making an order) often means you’ll get an email with a special discount for your first order.